GMT offers 8 ranges of thickness (called grades) of low carbon steel wool for a variety of applications. 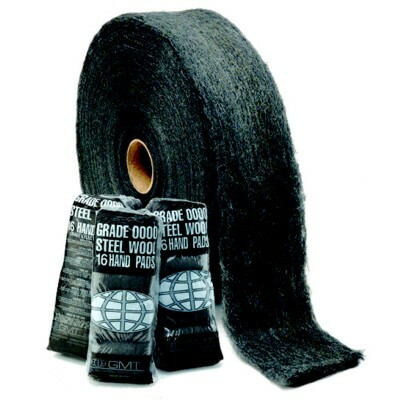 Gentle Abrasiveness: Steel wool does not scratch like grit-based abrasives. Steel wool planes a surface. All reels are approximately 1/2″ Thick, 4″ wide wound on to a cardboard core.